The end of the year is a busy time of year for teachers and students. 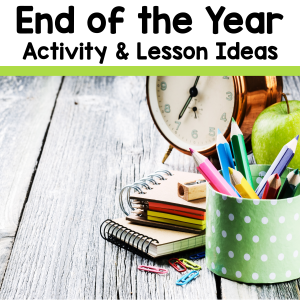 Try some of these end of the year activities and lessons listed below to ease the burden of planning new activities and lessons during this time of year. You and your students will enjoy these end of the year activities. Scroll through this article to find the sub-heading that most meets your needs tips and tricks, engaging lesson ideas, no prep lesson plans, classroom management tips, and self-care tips. 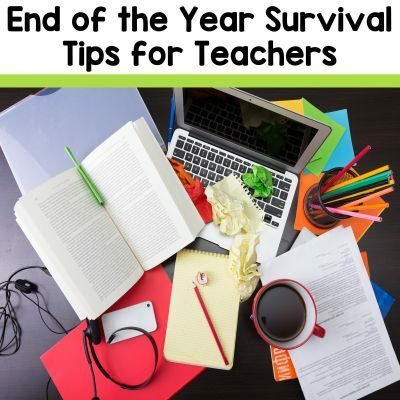 Read about these great end of the year tips for teachers. The end of the year for teachers is like tax season for financial professionals – busy and chaotic. It is important to know that end of year madness can be tamed and turned into something more productive than stress and chaos. Quick tips to help teachers end the school year on a productive note to get ready for the next school year. Using this tips will help teachers stay focused and not use up their whole summer vacation planning. Eleven teacher bloggers have shared their thoughts on their favourite end of the year lessons, assignments and units that they LOVE teaching at this time of year. 5 reasons to use escape rooms in your classroom. Try an escape room near the end of the year to review key curriculum ideas and to infuse fun into learning. Amazing end of the year tips and activities from experienced teachers. Reduce your stress and stay focused. Useful tips and lesson ideas for middle school teachers for ending the school year without chaos and confusion. Make your end of the year activities exciting. Teachers – try these low prep and engaging lesson ideas in your classroom. Media Literacy Outlet vs Retail This lesson also shows students the different techniques outlet stores use to get consumers to purchase products. Media Literacy Gender Price Differences This engaging lesson explains how prices on consumer products are different for men and women. Book Versus Movie Assignment Use this Book Versus Movie Analysis Project to help students gain higher order thinking skills as they compare their favourite book to the movie. Fractured Fairy Tales Analysis Assignment Students use a Venn diagram graphic organizer to compare and contrast each fairy tale version. Rant Writing Unit Students rant to each other daily, why not channel that creative energy into some high-quality writing? Rants are an engaging way to get students writing and sharing their thoughts and opinions in the classroom. Career Exploration and Research Project Students will get excited about career research by taking an online career quiz, brainstorming possible career choices, and culminating with a poster project. The end of the year is a stressful time. 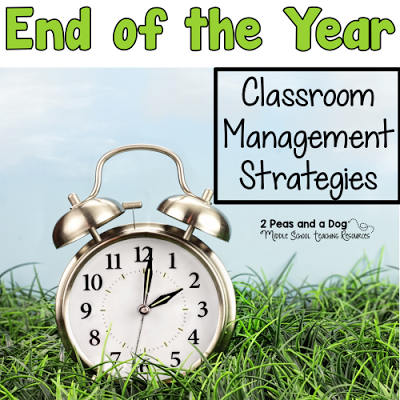 Ten teacher bloggers have taken the time to share their thoughts on how to make classroom management more manageable during the year end chaos. Ensure that your class runs smoothly during the end the year by incorporating these 4 important tips to calm the chaos during the countdown to summer vacation. End of the Year Tips for Teachers. 3 tips for keeping the middle school classroom calm and students engaged during the last few weeks of school. The end of the year is a great time to reflect on the past year’s successes and challenges. Use these reflections to help plan out changes for your future classes. Includes a free graphic organizer to help teachers reflect on their school year. It is important for teachers to realize that self-care is important. Check out these teacher self-care tips. Effective and realistic strategies to help teachers survive and cope with teacher burnout. Teaching is a demanding profession that requires 110% of its teachers during the school year. Here are 10 fantastic ideas to help teachers relax and recharge themselves over the summer.